This is the second of at least three hats I will make with the three eyelash balls of yarn. The first one can be seen in my first Elegant Fireworks post. Entrelac often involves very short rows. On this hat the rows were only four stitches long. This would involve turning your work every 4 stitches all around the brim… I knew I couldn’t both put off figuring out backwards knitting AND keep my sanity if I was going to do this. I looked it up in A Gathering of Lace and on Youtube, then I forced myself to do it. Backwards knitting will be good to know for turning heels too. 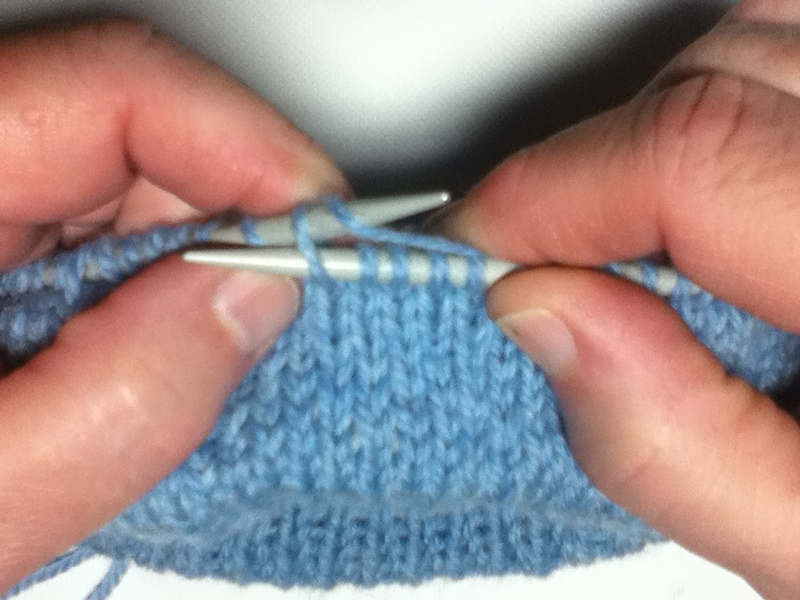 To knit backwards, you put the left needle into the back of the stitch on your right hand needle, then wrap your yarn from top to bottom and knit it off. I have it down pat now, and I am pretty sure it will be in my wheelhouse from now on. One thing I learned is that you have to hold the yarn in your right hand, or else it is impossible to make the stitch correctly. 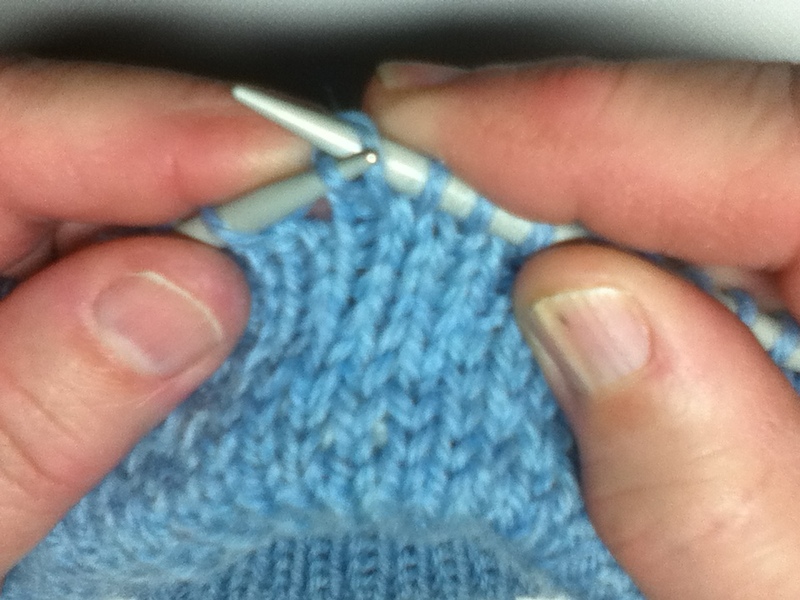 You have to wrap the yarn from top to bottom, and this can’t be done with the left hand at this angle. If right handed yarn holding is not in the cards, it is not actually such a big deal, you just have to knit into the back to turn your stitches as you knit them forwards again. 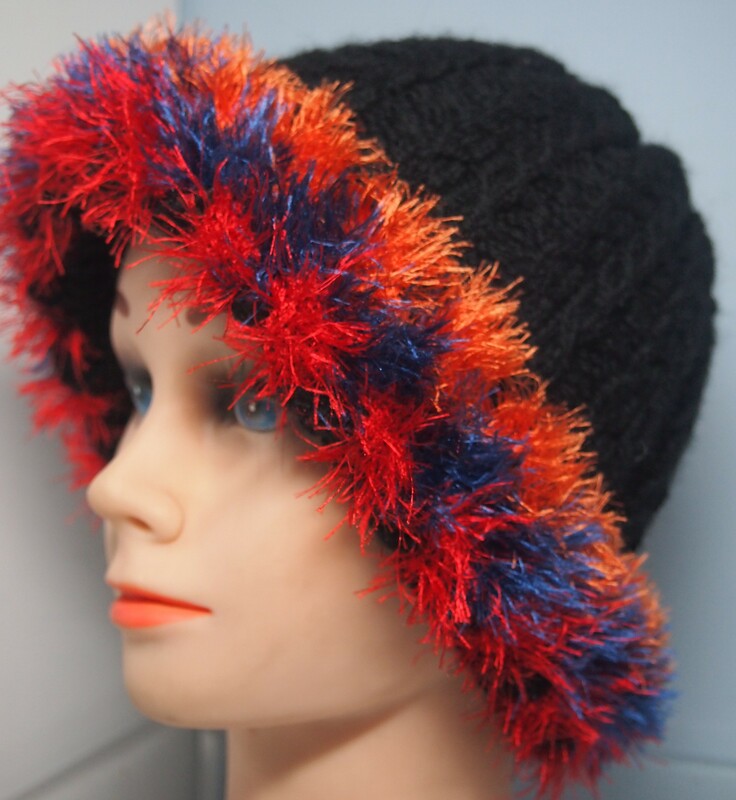 This entry was posted in knitting techniques, novelty yarn and tagged Entrelac, eyelash yarn, knitted hat, knitting, Knitting and Crochet on November 15, 2013 by gillianknitter. oooo I have not heard of this before but it is definitely something that I will look into. Thank you for drawing it to my attention. I love your use of eyelash yarn too. No – very important to be sure that it does save you time else why bother learning something new? apart from the pair of socks that I am knitting at the moment. I have to keep pulling the bits through which is very frustrating. I need smaller cables but am using the ones that are identified.